Barry has over 40 years of experience as a senior advisor to executives, business owners, and professionals for their personal compensation and benefits strategies as well as their organizational insurance needs. He provides expert counsel and financial advice to boards of directors, corporations, hospitals, physician groups, and not-for-profit organizations. He is a founding partner of Morrill, Koslow & Associates and served for seven years as executive vice president of USI Executive & Professional Benefits. Previously, he was vice president and counsel for Unum. A graduate of Northeastern University and Boston University School of Law, Barry is a member of the Massachusetts, Maine and American Bar Associations. He is an active member of several professional organizations, including the prestigious Association for Advanced Life Underwriting (AALU), The Society of Financial Service Professionals, The National Health Lawyers Association, The American College of Healthcare Executives and the Healthcare Financial. He served on the Special Olympics Massachusetts Board for 16 years, two as Chair. Barry has served on the Board of New England Sinai Hospital for over 25 years including five years as Chair. 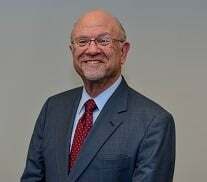 He was founding Chair of the Hospital’s Foundation and a member of its Strategic Planning and Governance Committees. He also serves on the Finance Committee for the Schwartz Center for Compassionate Healthcare. Barry’s interests include travel, music and playing saxophone, performing at gigs with a Grateful Dead tribute band. Ed has more than 12 years of experience in the financial and life insurance industries, specializing in high-quality customer service, relationship building, operations and process improvement. As MKA’s director of client services, he is responsible for managing client relationships, including consultations on retirement benefits and other issues. 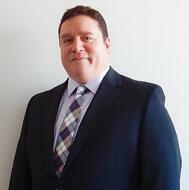 Ed has a strong communications background and expertise in research and project management. Prior to joining MKA, Ed served as an operations specialist with Delaware Life. Previously, he held customer service and relationship management roles with Sun Life Financial. He graduated from Roger Williams University with a bachelor’s degree in communications. In his spare time, Ed enjoys reading and cooking. Andrew brings legal expertise and knowledge of healthcare to MKA. Andrew currently is Vice President of Operations and General Counsel at Compass Medical, P.C., and a member of its executive team. He is also an emergency medicine physician at Steward Good Samaritan Medical Center in Brockton, Mass., and serves on the hospital’s Medical Executive Committee. Andrew is a Fellow of the American College of Emergency Physicians, and is chair of the College’s Medical Legal Committee. He has published works on several medical-legal topics. Andrew is a graduate of the University of Pennsylvania and earned his medical degree from the Medical College of Pennsylvania. He is a diplomate of the American Board of Emergency Medicine. He later earned his law degree from Boston College Law School with honors, and was admitted to the Massachusetts bar in 2009.